Save the date for the 2019 Maestro's Ball! The Maestro’s Ball is the symphony’s largest fundraising event. 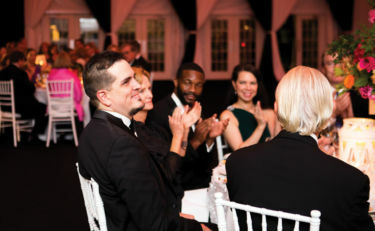 Each year, Birmingham’s corporate community and individuals contribute generously, helping the Maestro’s Ball raise as much as 10% of the ASO’s operating budget. In addition to helping underwrite our concert series, these funds are critical to helping the ASO reach a large and diverse audience through free community engagement performances, a statewide tour, and education programs that serve approximately 25,000 students annually. For more information please contact Kimberly King at 205.314.6917 or by email.